On Sunday evening, the participating teams celebrated on the ice of Neuchâtel in Switzerland. The competition ended with magnificent performances presented by teams of international level. 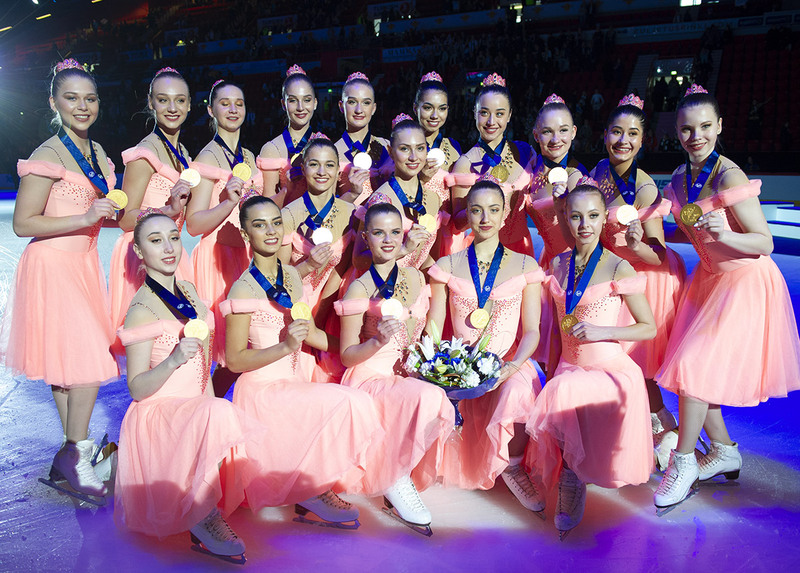 In juniors and seniors, gold remained in Finnish hands. Summary of this second day of competition! 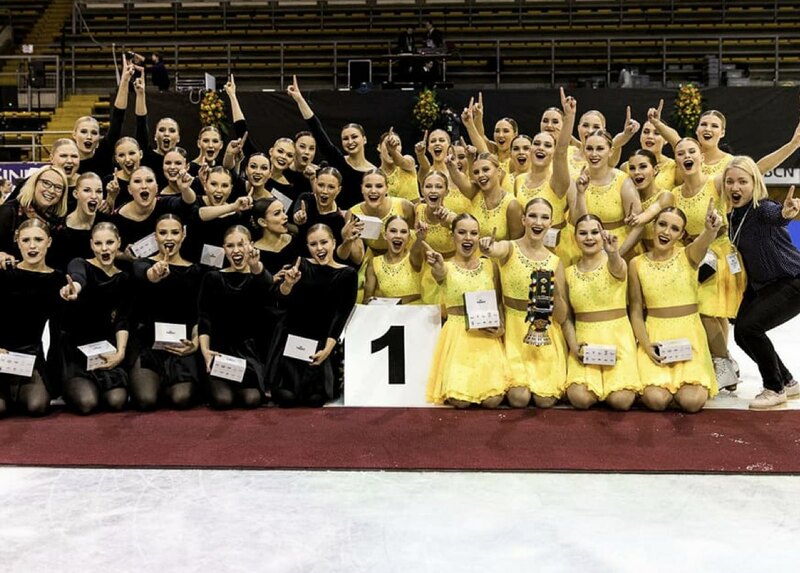 In the Senior category, the Helsinki Rockettes (FIN) confirmed their first place with a total of 202.96 points. The Finnish skated their free program "Many Shades of Her". They are followed by their compatriots the Team Unique (FIN), who kept the second place despite 3 falls on the free program. They finished with 186.57 points. The Haydenettes (USA) did the show on Sunday evening. They skated to a techno music that allowed them to finish this competition on the third step of the podium with a total of 185.83 points. 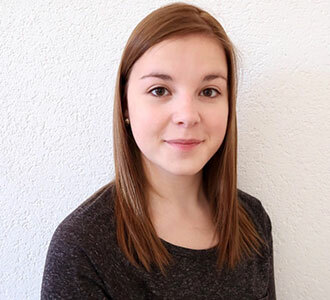 The Nova skated a quality free program with emotion on the music "Liebestraum". They won 182.32 points. The scores were very tight for the 5th place and the Lumineers finished with 0.28 point more than the Crystallettes! Olympia from the Czech Republic and the Australian Ice Storms complete this ranking. In the Junior division, Team Fintastic (FIN) also maintained its first place (total points: 160.58). In their flashy yellow dresses, the Finns performed their program called "City of Stars" with great precision and lightness. 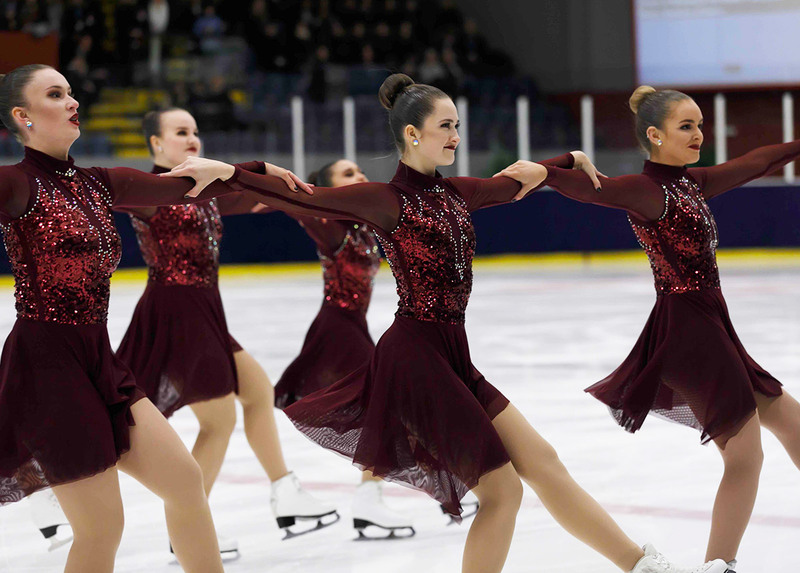 On the second step of the podium: the Team Mystique who shone on the Neuchâtel ice by presenting a powerful and expressive free program, obtaining 152.60 points. Team Hockettes from the United States completed this podium with 114.94 points. The 4th place went to the Cool Dreams Juniors of Switzerland who presented a good program and got a total of 97.16 points. They are followed by the Ladybirds (ITA) who received 82.44 points for both programs. The Australian Iceskateers win a rank with 73.53 points and the Italian Shining Blades did a total of 69.57 points. The Southern Sky (AUS) finishes this ranking with 54.26 points. The Mixed Age category also competed on Sunday and the podium was so "swiss"! The first place went to the Starlight team from Zürich (SUI) who skated a good program on the theme of "Moana" and got 54.68 points. They are followed very closely by the Snowflakes (SUI) who executed a faultless and catchy program, but which unfortunately was not enough to reach the top step of the podium (53.56 points). The ranking is completed by the Ice Storms (SUI) who earned 43.84 points. The Australian Eclipses skated on the music of the "Penguins of Madagascar" have to be satisfied with the 4th place with 43.11 points. Team Bernettes earned 38.47 points. It's just one point more than the United Blades who skated at home (37.42 points). The 2018 Tissot Neuchâtel Trophy also served as National championships for Switzerland. Only one team was participating: the Cool Dreams Juniors (Burgdorf) won the title.